Frank Hawley’s Drag Racing School is proud to be part of National Dragster’s unique Be A Winner, Be A Member program which rewards NHRA racers who win a regular-season bracket race at an NHRA Member track with prizes from lots of sponsors! At the end of the year, one lucky racer will be awarded the grand prize, a two-day Super class at Frank Hawley’s Drag Racing School! By submitting proof of victory and NHRA membership and an address, a racer becomes eligible for that month’s drawing and the grand prize later in the season. Oh, did we mention that the GRAND PRIZE is a trip to Frank Hawley’s Drag Racing School two-day Super Comp or Super Gas Course and $500 spending money! 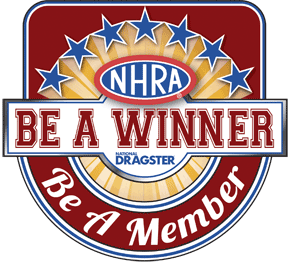 More information about the Be a Winner program can be found here at the NHRA website. Racers with questions regarding entries and the program can email etracing@nhra.com or call 626-250-2331.